At Olivet, students have a heart for ministry. You can find our students leading worship at summer camps for junior high students, playing checkers with veterans at a nursing home, or building the next “Habitat for Humanity” house. At Olivet, students have a genuine heart for ministry. You can find our students leading worship at summer camps for junior high students, playing checkers with veterans at a nursing home, or building the next “Habitat for Humanity” house. The Spiritual Life ministries are chaired by the Co-Executive Officers for Spiritual Life and exist for the spirit-led advancement of His kingdom through service, acknowledging Christ as our foundation. The Spiritual Life ministries provide students opportunities for involvement through various inreach and outreach activities. The inreach ministries are designed to serve our campus community through opportunities to connect in fellowship, worship, and prayer. The outreach ministries are designed to serve our surrounding community through acts of service to meet the physical and spiritual needs of our community. The Upper Room is led by one of the Co-Executive Officers of Spiritual Life and the Class Chaplains to create space for fellowship and worship. Students meet for weekly worship and devotions on Mondays at 9 p.m. in the Warming House. 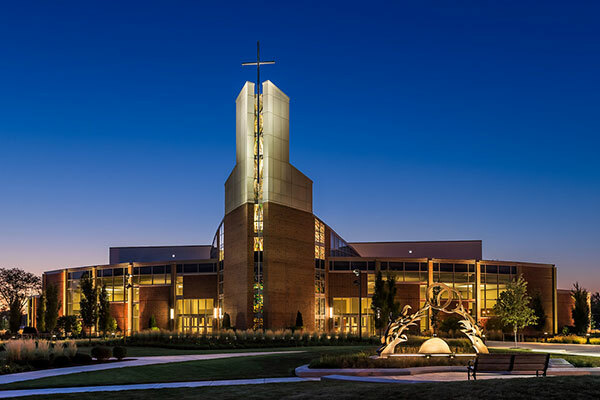 At Olivet, the worship of Jesus Christ is central to all that we learn, say and do.